But as Christy struggles to find acceptance in her new home, some see her--and her one-room school--as a threat to their way of life. Her faith is challenged and her heart is torn between two strong men with conflicting views about how to care for the families of the Cove. Read what others are saying about the book. 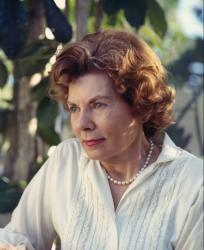 Catherine Marshall (1914-1983), "The New York Times" best-selling author of 30 books, is best known for her novel "Christy." Based on the life of her mother, "Christy" captured the hearts of millions and became a popular CBS television series. Around the kitchen table at Evergreen Farm, as her mother reminisced, Catherine probed for details and insights into the rugged lives of these Appalachian highlanders. Catherine shared the story of her husband, Dr. Peter Marshall, Chaplain of the United States Senate, in "A Man Called Peter." A decade after Dr. Marshall’s untimely death, Catherine married Leonard LeSourd, Executive Editor of "Guideposts," forging a dynamic writer-editor partnership. A beloved inspirational writer and speaker, Catherine’s enduring career spanned four decades and reached over 30 million readers. 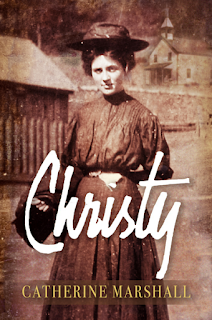 Christy is the quintessential classic American novel. Everything from the spirit of the mountain people, the superstitions of generations past, and the faith that guided them are a part of the history of our country that not everyone immediately thinks about. A deeper understanding of the mountaineers of the Smokies, Alleghanys, and Blue Ridge and their grit and determination really made them a part of America's backbone. I checked my school's copy of Christy out more times than I can count. That hardcover with Kelly Martin probably bears wear spots from my fingers. Christy is the novel that piqued my curiosity about so many things including history and the frontier. Catherine Marshall's way of spinning her mother's stories into words for the modern reader is quaint and sweet, but also presents the more raw side to life with little access to the outside world.